Keeping track of the federal gun laws is confusing enough without having to worry about the laws of your state too. Luckily, in Louisiana, there aren’t too many laws to worry about in order to be a responsible gun owner. In this guide, we’ll go over all the ins and outs on how to buy a gun and what you can do with your new gun once it’s in your hands. Louisiana, as a relatively gun-friendly state, does not have too many of its own laws when it comes to buying firearms. What this means is that for the most part, federal laws are the ones you need to be careful of. While no permit is required to buy a handgun, there are still a few requirements before you can take that Glock home with you. These requirements only apply when you buy a handgun from a gun store, since they are federally licensed firearms dealers. Had completed a sentence, probation, parole, or suspension of a sentence for violent crime in the last 10 years. As long as none of those conditions apply, you’re good to go! 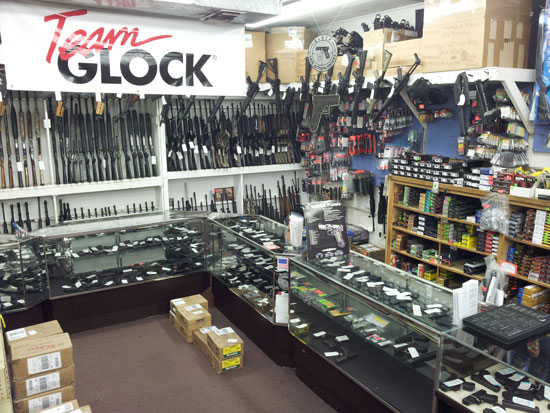 If you don’t meet the age requirement, you can still get a gun, but through a private sale. To purchase a handgun through a private sale you must be 17 or older, but no background check is required. This means you won’t be able to buy a new gun from your local gun store, but if can convince your dad to transfer his spare 1911 to you, then you can have a handgun without having to wait those extra 3 years! If you aren’t 17 yet, there’s still hope! While you may not be able to buy a handgun or carry one around all the time, there are still some situations where you can use legally a handgun. Have the written permission of his parents or legal guardian. Like anyone would forget about getting an AR-15! The laws for buying a long gun are slightly less strict when compared to the laws for handguns. Just like with handguns, there is no permit required to buy a long gun either. 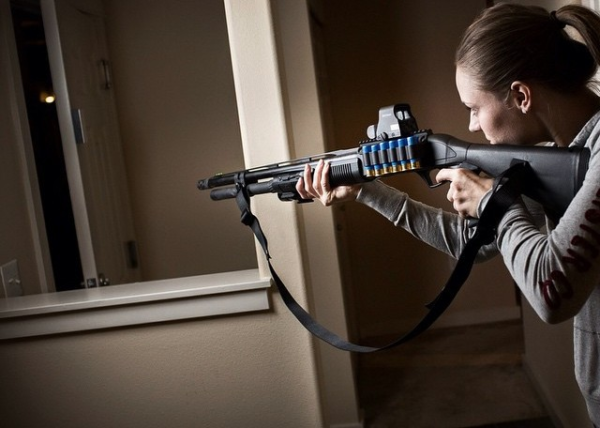 You can get a long gun much sooner than a handgun, so you’ll have plenty of time to get out on the range and practice safe firearms manipulation before you even get into handguns. Where can I bring my guns? Once you finally have that shiny new gun in your hands, you’ll want to be careful about where you take it. Open carry is allowed without a permit, as long as you are at least 17 years old and, of course, are legally allowed to own the firearm. Carrying concealed requires a permit, however. 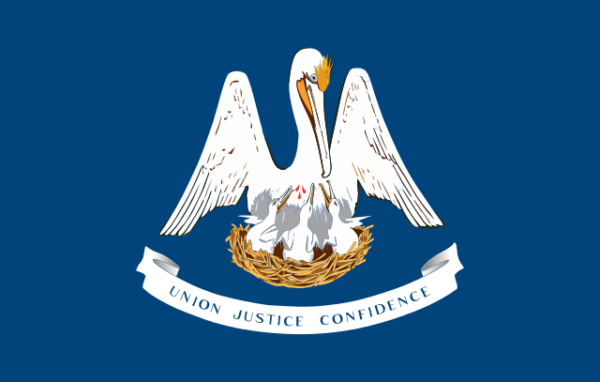 For those of you interested in learning about how to get a CCW permit and the additional laws surrounding that, be sure to check out our Louisiana CCW section later! For everyone else, you’ll need to be aware of where you are, even if you are openly carrying. The basic rule is that anywhere that has metal detectors is probably somewhere your guns aren’t allowed. It is also a good idea to reconsider openly carrying if you will be the only one doing so, since you might draw unwanted attention with that pocket rocket strapped to your hip. If you have to go to any of these areas, it’s a good idea to leave your gun behind, either at home, or locked away in a car safe hidden out of sight. Speaking of leaving your gun in the car, Louisiana only requires that they are transported or stored in a locked, privately owned vehicle. The vehicle can be in any parking area, unless it’s a school or some other federal property, in which case leaving your firearms in the car is not a good idea (and also not allowed). 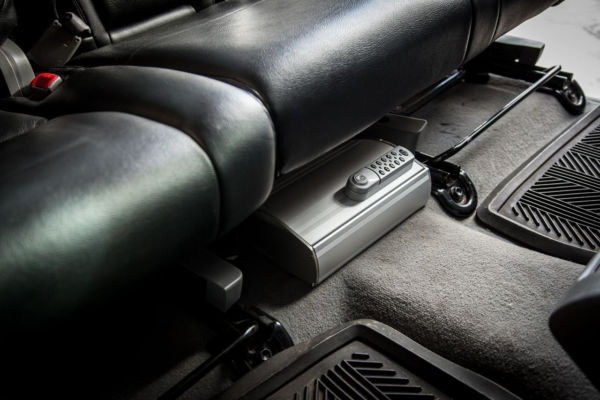 It’s also important to keep in mind that your company may have additional rules about putting the firearms out of sight or in a locked container if you leave it in the car. In general it’s just a good idea to have it locked away in a car safe anyway, so it shouldn’t really be an issue, but check with your boss anyway. Hopefully you’ll only ever discharge your firearms at the range and never need to at home. If you do have to use your gun in self-defense, however, Louisiana has laws on the books that adopt both the “Castle Doctrine” and the “Stand your ground” policy. Under the Castle doctrine, which is the idea of protecting your home, or “castle”, you can use deadly force if you reasonably believe it is necessary to defend your home, place of business, or occupied vehicle. Keep in mind, these situations must all be happening either in your home, place of business, or occupied vehicle (i.e. only if you or someone else is already inside the car). Protecting your castle is great and all, but you might not always be at home when the need arises to defend yourself. Louisiana has recognized this need and therefor has a “stand your ground” policy when it comes to self-defense outside the home. As long as you are somewhere you are legally allowed to be, and not engaged in illegal activity yourself, you have no duty to retreat before using deadly force if necessary. Just like with the Castle doctrine laws, it must be reasonable to believe that deadly force is necessary for you to be able to use it. And of course, always use your best judgement to decide what type of force is appropriate, or if it is necessary to stand your ground, when retreating may be the safer option for you and others around you. With that, you’ve now got all the information you need to be a responsible gun owner in the great state of Louisiana! 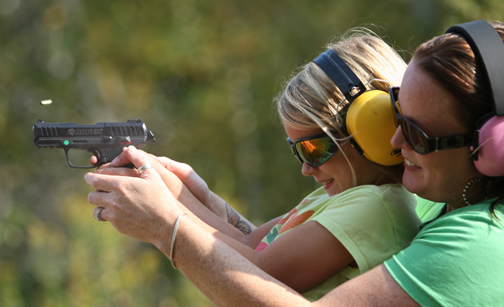 If you’re looking to expand your skills before going the CCW route, that’s okay too! But you might want a sturdy safe to keep all your new toys, and keep them away from prying eyes while you’re out of the house. A basic gun cabinet or handgun safe may be a good starting point for securing your firearms. Once your guns start multiplying, take a look at the bigger safes we recommend to give your guns a nice place to sleep at night.